FERRARIO - [ Sugar milling and crushing machinery ]. FERRARIO, G. - [ Sugar milling and crushing machinery ]. [ Sugar milling and crushing machinery ]. 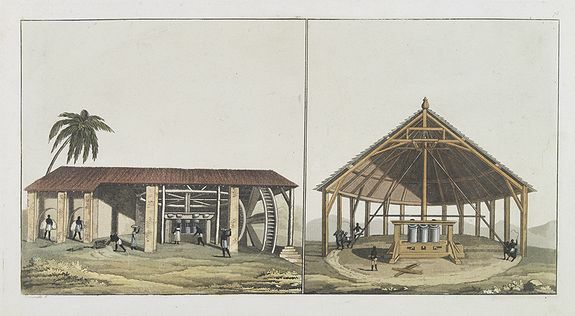 - FERRARIO, G.
Title : [ Sugar milling and crushing machinery ].. Size : 6.3 x 6.5 inches. / 16.0 x 16.5 cm. Description :Aquatint depicting two sugar mills.